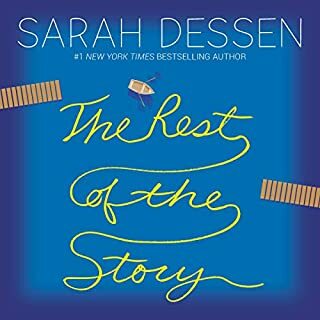 From Sarah Dessen, the beloved New York Times best-selling author of Saint Anything and Just Listen, comes a new novel set in the world of wedding planning! Louna's summer job is to help brides plan their perfect days, even though she stopped believing in happily ever after when her first love ended tragically. But charming girl-magnet Ambrose isn't about to be discouraged now that he's met the one he really wants. Maybe Louna's second chance is standing right in front of her. 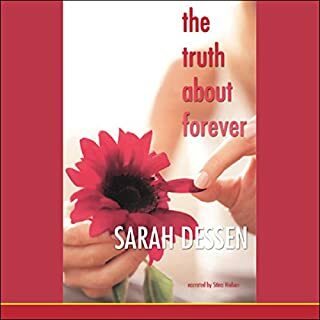 Sarah Dessen's many fans will adore this latest novel, a richly satisfying, enormously entertaining story with humor, romance, and an ending that is so much more than happily ever after. Heartfelt, sweet, and thoughtful. Tackling a few serious topics this novel is throughly enjoyable. Recommended. Sarah Dessen's return after Saint Anything is wonderful. I love books about wedding planners (I have a thing), so I was excited. This one was unique because Louna's still a teenager and able to give that perspective. Her story with Ethan was heartwrenching and perfectly intertwined with the "present day" plot. I think that her growth throughout the novel and the way she finally learns to grieve was well-written. I did not like Ambrose. He essentially manipulates her so that she will have to go out with him. Instead of asking what happened with her former boyfriend, he assumes that it was nasty. He wasn't a horrible hero, but I didn't like how he tried to get her attention and his willingness to use others in his quest to ultimately "win" her. I'm still giving this book four stars because the writing was good and overall the plot was too. You can't always like the heroes, because no one is perfect, not even in fiction. 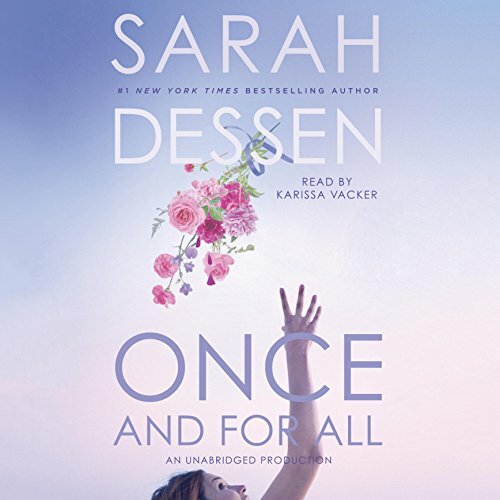 Having been a long time fan of Sarah Dessen's work, I always look forward when a new book comes out. Once and for all is the first one in my memory to bring me to tears (multiple times). Despite that I really enjoyed both the story and the performance of this audio book. I also couldn't stop listening, having to know more about Louna and what came next in her story. I would suggest this book to anyone but also warn that it deals with pretty heavy topics. The narrator is bland and robotic. I couldn’t even finish the first chapter. Waste of money. Eh. Not Sarah dessen's best book. It seemed like the story dragged for a little bit. I think a couple of chapters weren't needed. Narrator was decent, though she was a little robotic at times. And I didn't like her guy voices. It got a little annoying. 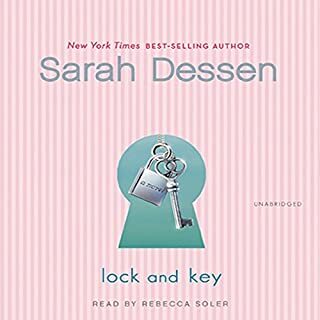 I'm a huge Sarah Dessen fan and have been for ten years. So I know her top notch books and unfortunately this wasn't one of them. It took me a while to get through- to the point of finishing it just because I always finish the book once I start. I didn't connect with the main character or any. Story was slow. 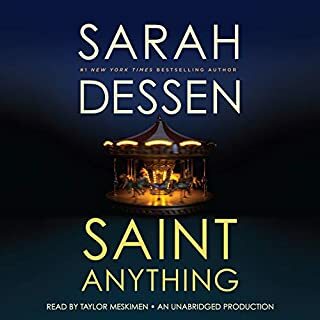 If you're looking for a better Dessen book, try That Summer, Someone Like You or Saint Anything. Dessen has added a new breath to this story by playing with the time line in a new style. I also really enjoyed some more realistic language choices and intimate moments vs trying to shy away or downplay important moments. This might be my new favorite Dessen novel. 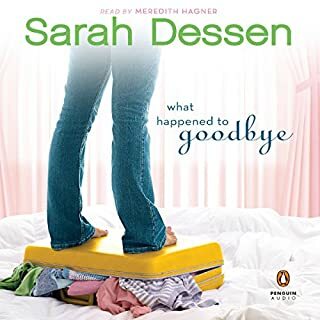 As always with Sarah Dessen the characters are great. I always enjoy listening to them on audio. 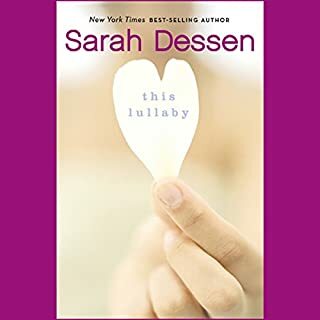 Another terrific novel from Sarah Dessen. I read them all and will recommend them to my friends.